Take part in the first in the series of workshops, the LEAN STARTUP, dedicated to the lean start-up methodology and learn about key techniques designed to create fast-growing ventures. 1.- What should I bring into the event? Good energy, good ideas and be eager to learn, work and meet new people. Needed materials will be provided in the workshop. 2.- How can I contact the organiser with any questions? You can reach us with questions regarding the project and the workshops, as well as subscribing to our list, here. 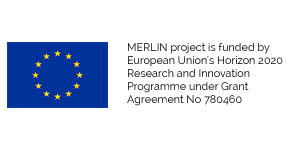 Do you have questions about MERLIN Workshop #1C: LEAN STARTUP? Contact UAB "Civitta"
Civitta is a leading independent management consultancy in Emerging Europe with offices in Estonia, Latvia, Lithuania, Belarus, Russia, Ukraine, Moldova, Poland, Serbia, Romania and sales office in the United Kingdom. We cover a wide range of services, including management consulting, grants and project management, market research and customer data analytics, entrepreneurship support and startups, public policy and development.